Jeb has posted some news about the upcoming 1.3 patch on the Mojang Blog. Single player is now basically a server running underneath your game so you can invite friends to play in your world. We’ll be trying to wrap up the world we’re currently running and will be starting a new world for the server for 1.3 to take advantage of some of the new things like Cocoa plants, Emerald ores, etc. One feature I was really hoping to see was the mod API being implemented but it looks like that won’t be making it’s debut until patch 1.4. Also you may notice a slight hit on performance for single-player mode as it’s essentially running a shell ontop of the server in the background. They have made some noticeable increases in performance for both single player and multiplayer so hopefully the single player server won’t cause too big of a hit. For a more complete list of changes to expect, check out this RedStoneHelper post over on Reddit. Minecraft has just landed for 1600 points on the Xbox Marketplace. 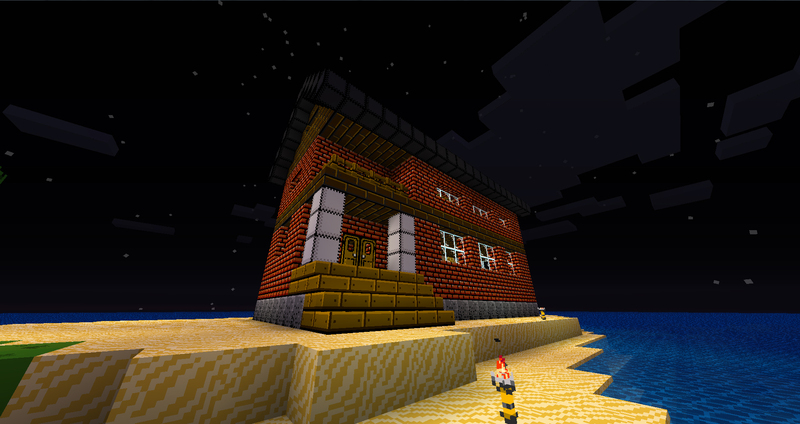 If you’re a big Minecraft fan you’ll want to scoop it up. It’s the same content as version 1.6.6 so that means there are no pistons, but Jeb has stated that 1.7.3 will be released sometime this summer for no charge. So we haven’t really featured a texture pack since we did the Sphax Pure BD pack a while back and that post is still hugely popular. I’ve been running with the default vanilla texture pack for a few patches now because Optifine got behind and I never bothered to download MCPatcher even though it’s available right here on JOB. 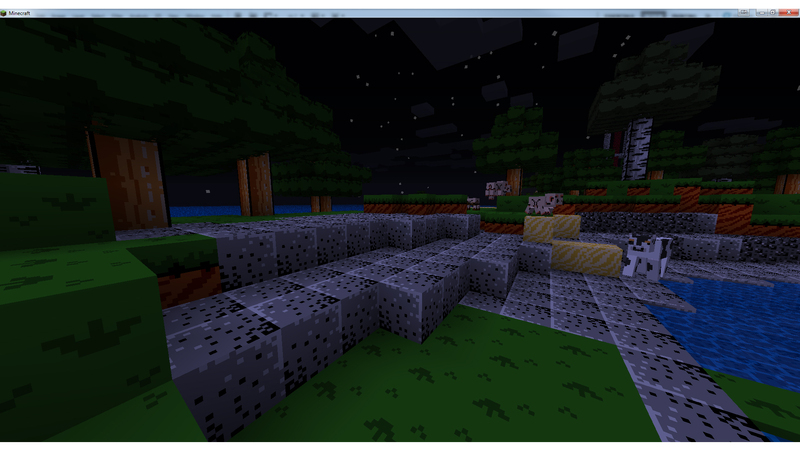 This texture pack was featured on Minecraft Forums a few days ago so I picked it up to play with it some. It’s a pretty fun texture pack but like most it has it’s pros and cons. 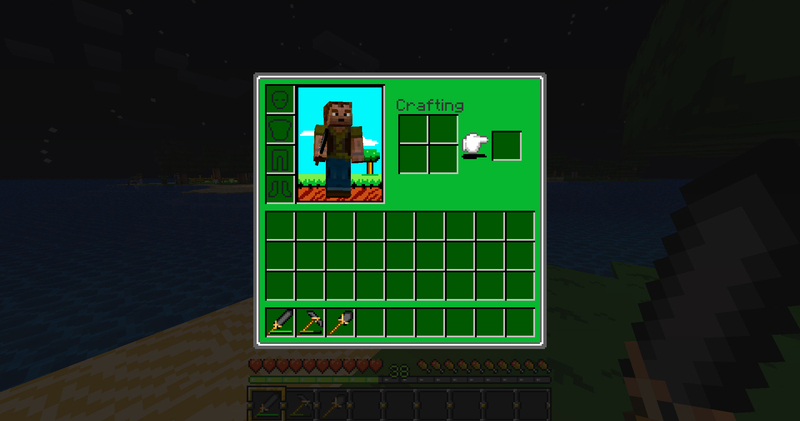 Right off the bat you’ll see that the texture pack has really great icons and looks very NES’ish. In the screenshot above you’ll notice that the blocks look great from a certain distance and beyond, but up close can be very annoying and noisy. 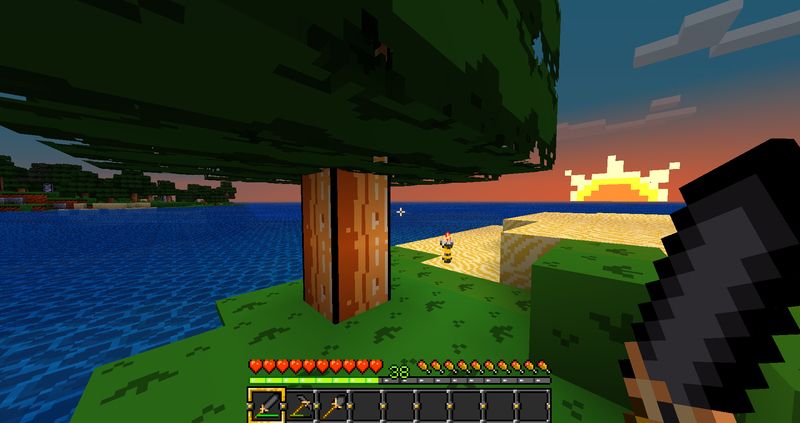 The trees might be my favorite part of the texture pack. They look very 8-bit while retaining some pretty easy to recognize texture and coloring. The downside is that if you have a good enough computer to run “fancy” graphics – the trees aren’t very transparent. 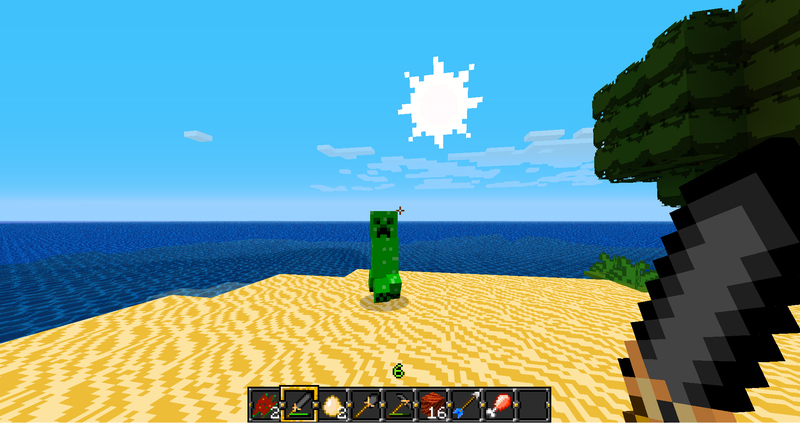 Creepers look somewhat the same and sand is very repetitive to the eyes as is the ocean/large bodies of water. 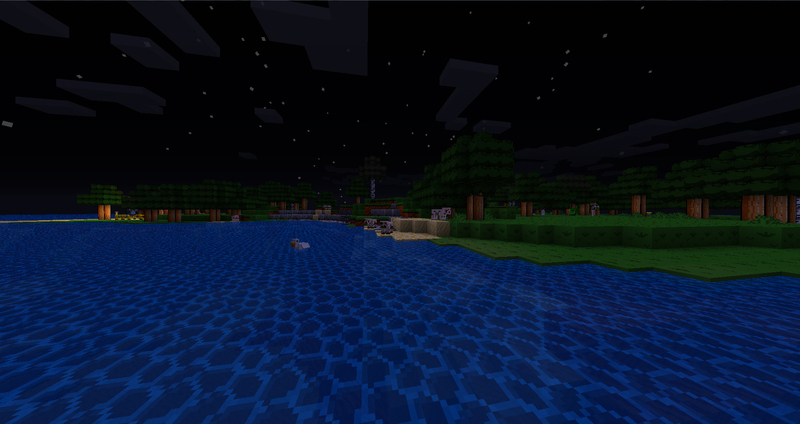 The sun and moon are round instead of square but fit well with Minecraft’s blocky feel. The inventory and crafting screen is an eye burning green but is true to old Nintendo games that made a lot of use out of green backdrops to menus and selection screens. The background behind the character in the inventory window is very NES’ish and almost looks straight out of Duck Hunt or Super Mario. Grass is very smooth and tiles really well. Sand looked fine on the beach but looks a wee bit out of place when you see it in random spots like on top of the stone as seen here. Mobs and animals look good and they did as good of a job as I’d imagine possible to give them a NES type feel to them even though there’s only so much you can do to keep them from looking like normal cows/pigs. Altogether the texture pack does what it’s set out to do – give Minecraft some retro-Nintendo style graphics. 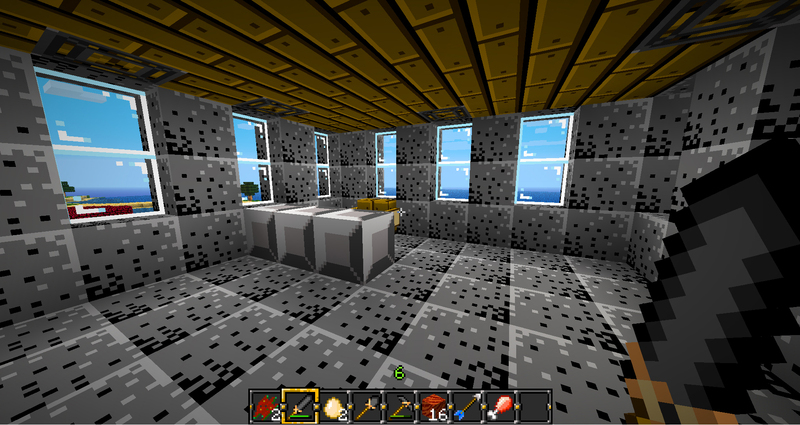 It’s a very novel and fun texture pack but as much time as I spend in caves and in buildings I’ve built I’d have a hard time getting over the noisiness of the textures up close. I did play with it for a while and enjoyed it, so if it’s something you’d be interested in – check out the official Minecraft thread for the texture pack and give it a whirl.